The Integrated Community Services (ICS) Program provides integrated care between physical and mental health to address unmet needs and increase access and quality of care for patients. The program is designed to target populations who have both chronic health condition or illness and mental or behavioral health needs to bridge the gap in services for the underserved and low-income community in order to increase overall health outcomes. The ICS Program includes a multidisciplinary team of primary care physicians, nurse practitioners, registered nurses, medical care coordinators, mental health clinicians, psychiatrists and mental health case workers who are culturally and linguistically competent to deliver services for coordination and continuity of care. The ICS Program’s services include, but are not limited to the following: primary care services, mental/behavioral health, assessment/intervention, individual counseling/therapy, psycho-education, support groups, case management and referrals, medication management, health and wellness education. In order to be eligible for program admission patients must be 18 years of age or older, Medi-Cal eligible or insured, be an Orange County resident, have mental or behavioral health needs (i.e. depression, anxiety, PTSD, schizophrenia) and has a qualifying chronic health condition (i.e. diabetes, hypertension, asthma). The program considers all referrals from the community, as well as county agencies with regard to population focus criteria. For additional information or questions, please contact Southland Health Center ICS Program at (714) 620-7070. Project FOCUS is a Full Service Partnership Wraparound (FSP/W) program funded under the Mental Health Services Act, Proposition 63. This Program provides bilingual and culturally appropriate case management and mental health services to children (ages 0-15), transitional aged youth (ages 16-25), and their families. Services are available in Vietnamese, Korean Tagalog, Samoan, Cambodian, Chinese, Japanese, Hmong, and other Asian and Pacific Islander languages. The program promotes success in school, employment, safety, wellness and recovery through a "Whatever it takes" approach, concentrating on community resource access to help children and their families bounce back from risks, stress, crisis and trauma. Services provided includes: individual and family counseling, group support, housing assistance, education assistance, employment support, social and recreational activities for youth as well as mentorship. Project FOCUS Team includes the Therapist who provides client-centered, strength-based counseling services, and leads support groups; the Personal Services Coordinator facilitates, coordinates, establishes continuity of care and needed referrals to meet participant's needs; the Community Resource Coordinator supports , trains, coaches and provides needed resources; the Parent Partner assists in system navigation, and works with parents to develop an individualized care plan that meets the needs of the family. For more information on program eligibility or enrollment, please contact Southland Integrated Services Project FOCUS Program at (714) 620-7002. Our program’s multi-lingual and multi-cultural staff includes case managers who are familiar with the language, culture and customs of the population served. For additional information or questions, please contact Southland Integrated Services EISOA Program at (714) 620-7002. This certificate program will train religious leaders on the basic signs and symptoms of common behavioral health concerns. Religious Leaders will gain the knowledge to recognize behavioral health issues to help increase access to healthcare services. A certificate will be provided upon full completion of the training. The training services are culturally and faith-based tailored instruction and information of basic mental health skills and resources to recognize and manage emergency behavioral health situations. Religious Leaders use their culturally responsive training of common mental health disorders, chronic and co-occurring mental health illnesses, recovery strategies to provide services and basic behavioral health skills training to congregants and community members within faith-based communities. The training will be conducted and typically completed in one 8-hour day. The topics may include but is not limited to education of mental health disorders, risk factors and warning signs, treatment support strategies, crisis intervention, and prevention and intervention skills. The goals of the Religious Leaders Behavioral Health Training Services are to increase access in mental health services as well as increase participant’s understanding of mental health. We welcome your expertise as Religious Leaders and look forward to building a movement of addressing mental health needs through awareness in each of the faith-based communities throughout the Orange County area. For additional information or questions, please contact Southland Integrated Services Religious Leaders BH Training Program at (714) 620-7002. Historically, Asian American or Pacific Islanders (AA/PIs) have had challenges in accessing health care and insurance. Nearly one out of two Asian Americans will have difficulty accessing mental health treatment because they do not speak English or cannot find services that meet their language needs. Vietnamese Americans share a similar experience, in addition to having the stigma surrounding mental health issues. These have become the biggest deterrents for these communities in seeking professional help. According to the Substance Abuse and Mental Health Services Administration in 2014, 13% of AA/PIs had a diagnosable mental illness in the previous year. Additionally, from the Office of Minority Health in 2016, 18.9 percent of Asian American high school students report considering suicide; 10.8 percent of Asian American high school students report having attempted suicide, and suicide death rates for 65+ year old Asian American females are higher than they are for white females. 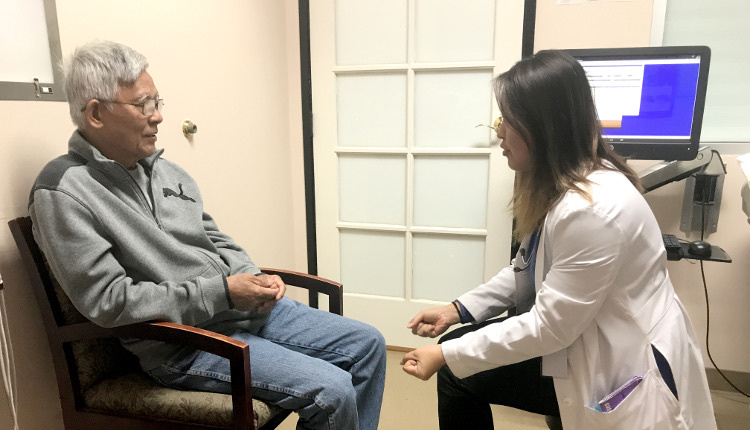 To promote wellness for Vietnamese Americans and other minority groups, Southland Integrated Services offers multidisciplinary behavioral health services to the communities of Orange County. Our focus is to provide culturally responsive, respectful, relevant, and compassionate services. Our professional team addresses issues related to psychological, emotional, and social health conditions through medication support and/or individual, or couple, or family therapy for all ages.